Hannah Marsh, real live normal human being. “ Quite very actual unputdownable! “ A dog you will want to meet ! “I was really looking forward to reviewing this book, not least because I have a humongous, fast, cross breed rescue of my own, and I wasn't disappointed. I laughed out loud every few pages. 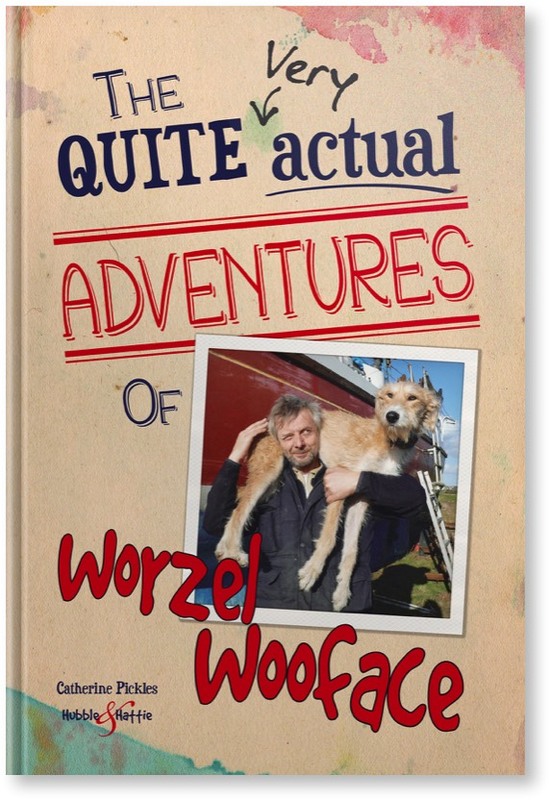 The book tells the story of Worzel Wooface in his own words. I found Worzel's speech difficult to get the hang of at first, but once I got used to it I was hooked on the diary. Worzel describes his life as a newly adopted dog in graphic detail. He talks about meeting and befriending other dogs, cats and humans. He writes about his adventures, turning seemingly mundane stories into hilarious dog episodes. I particularly enjoyed all his descriptions of sleeping/playing/hiding in the household beds. Oh and his love of chewing, puddles, other animals and especially his new family. I'd say the book is a diary written from the point of view of a slightly crazy dog introducing the reader to his slightly crazy family, friends and all their dogs and cats. “ I really enjoyed this book & would recommend it to everyone.